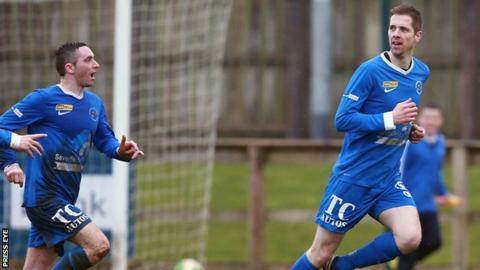 Ballinamallard United won the battle to finish 10th in the Premiership by beating Warrenpoint Town at Milltown. Mallards striker Richard Lecky produced a quality finish to beat Jonathan Parr from 12 yards in the 29th minute. Jason McCartney scored from the penalty spot in the 58th minute after Stephen Moan had handled inside the area. Ryan Campbell rounded Parr and finished in style to complete a comprehensive victory for Whitey Anderson's side in the 70th minute.